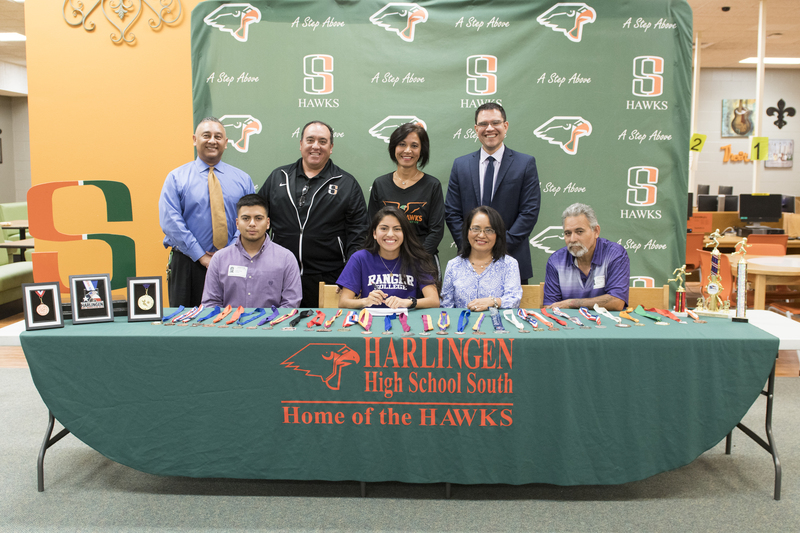 Harlingen High School South senior, Genesis Cruz, signed her letter of intent to run track for Ranger College on March 22 at the HHSS library. Ranger College is a NJCAA Division I school located in Ranger, Texas and competes in Region 5 of the NJCAA. Students, coaches, community members, college representatives and members of administration came out to share the excitement during the official signing ceremony.